Time again really go on holiday in the beautiful Dreiburgenland in the Bavarian Forest. 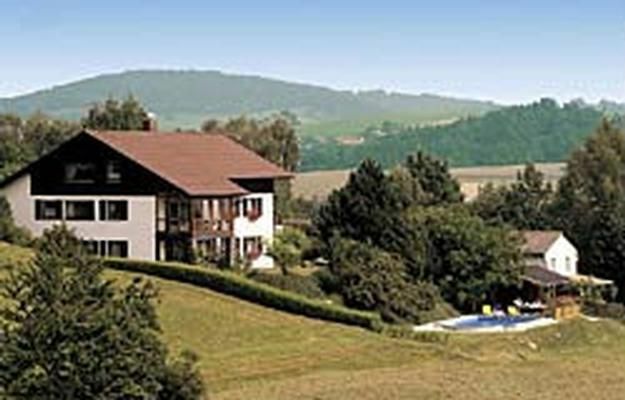 Enjoy the tranquility of our small resort Saldenburg-Preying the Bavarian Forest Nature Park. Tension from from everyday stress. Friendly and clean, spacious and lovingly furnished in a quiet, sunny southern exposure. Apartment in Dg (40m2): bedroom (2 beds) extra bed available, living room with satellite TV, telephone, radio and Internet connection (WLAN). Bathroom with shower and toilet. Patio. Idyllic location near Ilztal (Flußlanschaft the year 2002/03). Large garden with our own solar heated swimming pool. Plenty of room for your cookout. Whether summer or winter holiday - we look forward to seeing you.